Edinburgh airport parking | Book online and see choice of car parks. Secure parking at Edinburgh Airport from Edinburgh Airport Parking. The UK airport car parking specialists. Get a quote now using the booking form below, and see how much you can save. All car parks are located on the door step of Edinburgh Airport. Edinburgh Airport is located just 7 miles west of Edinburgh city centre and outside of rush hour takes about 30 minutes to reach by car which increases to an hour at peak times. The airport is operated by BAA and is second to Glasgow airport in passenger numbers at just of 6 million compared to 8 million at Glasgow. Edinburgh Airport has recently undergone a 100 million development and in percentage terms is growing at a far faster rate than Glasgow and is looking to be the premier airport for Scotland. There is one terminal and check-in is in the middle of the ground floor. The airport is importantly served by 2 runways which allows for continued expansion. About Edinburgh Airport Car Parks. Actual timings of transfers: Transfers from each car park run on demand 24 hours a day. Facilities for the disabled: Facilities for disabled airport parking are available. Please e-mail or phone for details. For disabled facilities at Edinburgh airport, please go to the link above. Important Information: Please arrive at the car park at least 30 minutes BEFORE you want to check in at the Airport. Park & Fly provide Infrared security sensors and security staff on site 24 hours a day. 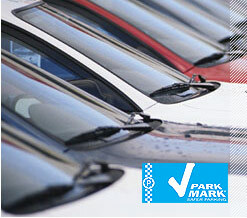 Secure Airpark: This car park holds the Secure Car Parks and Park Mark Award. It has security fencing and 24 hour surveillance. NCP Scotpark This Car Park is manned 24hrs and is frequently patrolled. It is enclosed by security fencing & has CCTV in operation. Other services provided: The car parks operates 24 hrs a day and is available for short and long term airport parking. Pre-book a space: The price quoted is for pre-booking only. Car parking at Edinburgh Airport in peak season is at a premium and prices tend to increase as the car parks near capacity. To guarantee your Edinburgh airport parking space you are recommended to book as early as possible. Minimum Stay: There is no minimum stay at present. The online booking system will prevent you booking if this changes. Accepted credit/debit cards: Visa, MasterCard, Switch, Solo, Maestro. Why not start your holiday in style by booking hotel accommodation close to Edinburgh airport. This can be especially useful if you have to travel a long way and reduces the chances of missing your flight if you are caught up in traffic jams or even worse if your car breaks down. To book your Edinburgh hotel airport parking, first get a quote, and then follow the buttons. Why not take the opportunity to visit Edinburgh the capital of Scotland as part of your holiday. Please see below Places to visit in Edinburgh and Edinburgh links which may be of interest.